[CHARRIERE, Isabelle de, Belle van ZUYLEN]. 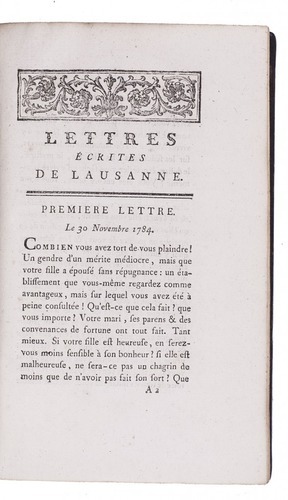 Lettres écrites de Lausanne.Including: Caliste ou suite des lettres écrites de Lausanne. 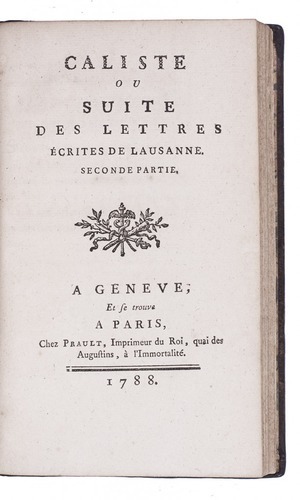 Genève and Paris, Prault, 1788. 2 parts in 1 volume. 8vo. Contemporary mottled calf, gold-tooled spine. 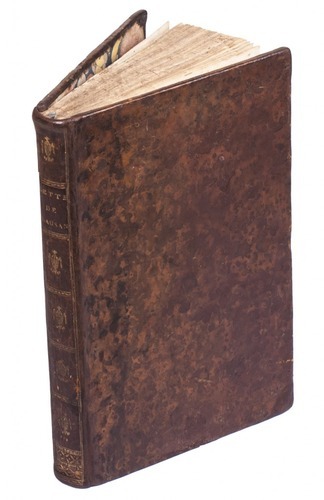 Fifth edition of a well-known series of fictional letters by the famous Dutch novelist and playwright Belle van Zuylen (1740-1805), known as Isabelle de Charrière after her marriage to the Swiss teacher Charles-Emmanuel de Charrière de Penthaz (1735-1808). In a series of letters, Belle examines conflicts that arise from differences in wealth and social status, especially as it affects courtship rituals. 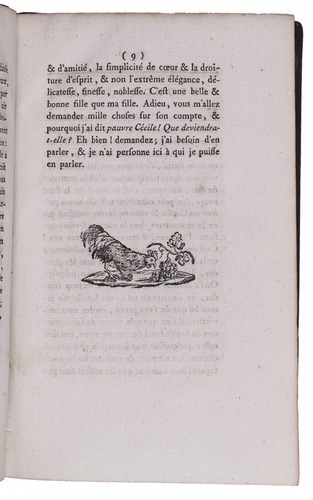 "The work begins as a series of letters by an anonymous Mme de *** about her daughter Cécile's (economically necessary) foray into the marriage market, but just when a serious and troubling match seems to be developing between Cécile and the Englishmen Edouard, this plot is abandoned for a long narrative about the ill-fated love of Edouard's cousin William for a woman he calls Caliste. In this way, a courtship story narrated by a woman turns into a Romantic tragedy narrated by a man" (Lanser). 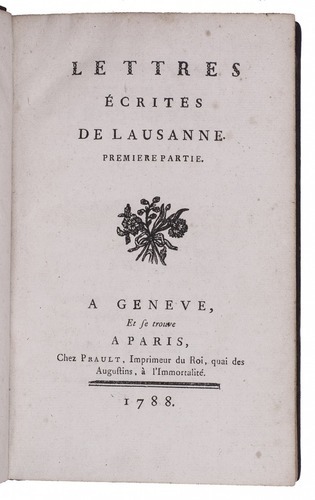 "The two parts of Charrière's project, radically different in content and tone, are thematically and structurally linked by the relationship between the original narrator (Cécile's mother) and William, the ubiquitous guest in the narrator's parlor throughout the first story" (Daniels). Binding restored, but internally in very good condition with only occasionally some faint foxing. Courtney, Preliminary bibliography of Isabelle de Charriere (Belle de Zuylen) (1980), 4 (1-2); C. Daniels, Subverting the family romance, pp. 57-99; Hoefer X, 14-15; S.S. Lanser, Fictions of authority, women writers and narrative voice, p. 161.